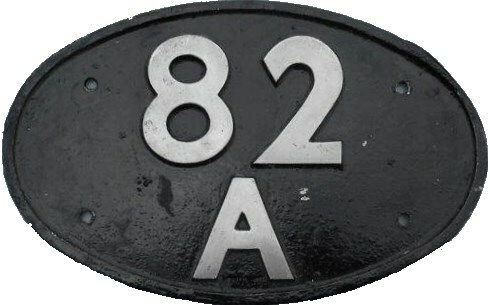 Lot 108 Alloy SHEDPLATE "82A". As carried by a BR Western Region Hydraulic. Ex Loco condition.